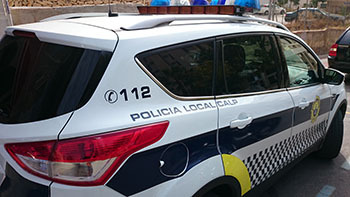 The Calp local police force has a hierarchical structure and organisation system, dependent upon on the local council. Its main objective is to provide citizens with an efficient and quality public service which upholds the current legal framework. We have a real vocation to support, protect and assist the public, with the aim of guaranteeing that they may freely exercise of their rights and freedoms. We cooperate with the public to improve wellbeing and quality of life. Public security: Protection of goods and people. Peaceful coexistence: Observance of the municipal bylaws. Location: Avd. Europa nº 15. Office hours: From 08:00h to 15:00h.